Although it may seem like a decorative topper to your chimney, the chimney cap is actually one of the most important parts of your entire chimney system. It is the primary piece (other than the crown) that protects your flue from moisture, debris and animal entry. The chimney cap sits on top of the chimney flue and protects the entrance of the flue against any damaging forces. Without a chimney cap – or if the existing chimney cap is damaged – the flue is vulnerable to damage and deterioration. Animals such as birds, raccoons and roof rats are notorious for attempting to find their way into chimneys. An uncapped chimney is an invitation for animals to use your flue as a nesting ground or hiding place, potentially blocking the flue and exposing your family to bacteria, disease and fire hazards. Without a chimney cap, falling leaves, twigs, trash or even stray balls can fall into the flue. This debris can create a blockage, encourage mold growth and even ignite when the fireplace is used. Water can be incredibly damaging to a chimney. Without a chimney cap, water from rain, snow or ice can easily damage the flue and surrounding building materials. Likewise, water can cause the metal damper to rust or the bricks and mortar in the firebox to crack and crumble. If your chimney cap is damaged – or missing – we can install a quality chimney cap. 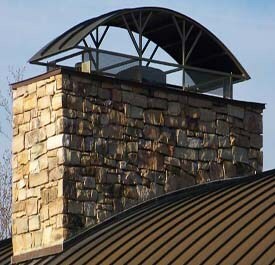 A standard chimney cap is factory-built to certain size specifications. However, there are seemingly endless options of standard chimney caps with a wide variety of material, style and size choices.  Most homeowners, especially those with newer homes or factory-built fireplaces, can easily find a standard chimney cap to fit their chimney. If you have a uniquely shaped chimney, own an older home, or simply want a more distinctive look for your roofline, Olde Towne Chimney & Fireplace Sales can create a custom chimney cap for you! A custom chimney cap differs from standard chimney caps in that it is specifically created for and fitted to your chimney. Chimney caps themselves are the best way to protect your flue, and a custom chimney cap leaves almost no room for moisture – or anything else – to enter your chimney. Likewise, because they are specially created for your chimney, a custom chimney cap will be unique to your home. A custom chimney cap is an excellent way to help your home stand out and boost its curb appeal! Get Your New Chimney Cap Today! 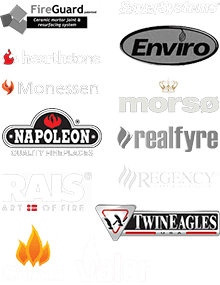 Whether your existing chimney cap needs to be repaired or you’re ready to upgrade your home’s look with a custom chimney cap, contact Olde Towne Chimney & Fireplace Sales today at 812-284-0123! You can also click here to request an appointment online! If you have a prefabricated chimney system, be sure the chase cover is in good repair. We’ll be happy to advise you whether you need this chimney and fireplace repair.